Adults over the age of 25, called non-traditional students among academia, are returning to school in increasing numbers. In 2015, 8.1 million non-traditional students were actively enrolled in courses at higher learning institutions in America. 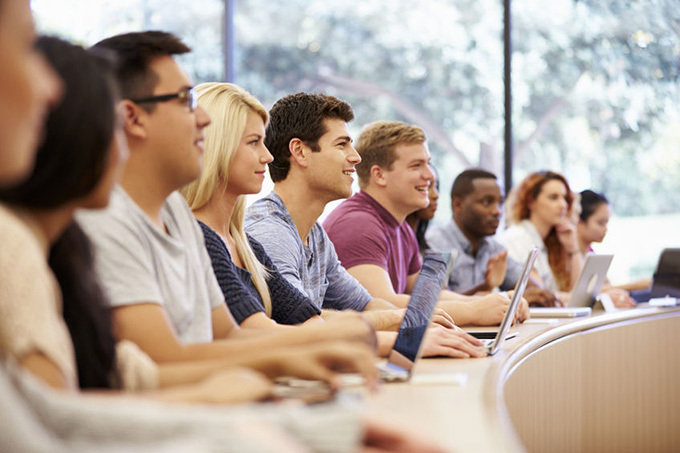 To some extent, the rise in non-traditional student college and university enrollment is driven by the hasty evolution of business technology, which has left many individuals feeling professionally out of touch and devalued. Compared to recent innovations, changes that loom on the horizon will evoke this feeling even more so. Fortunately, there are options available for working adults who want to update their skill sets. By enrolling in colleges and universities across the nation, a significant segment of the workforce is turning their ambition into action. The determined learners took a courageous first step toward upgrading their current careers or launching new ones. At that moment, they took control of their destinies. With this in mind, the following 5 excepts reveal why going back to school is a wise choice. In addition to improved skills, higher learning provides emotional benefits. Researchers have shown that education leads to improved well-being and contentment, and the effect is more pronounced as learners ascend in age. Even short spurts of reading have been shown to improve emotional comfort. A relatively recent American Academy of Neurology study reveals that cognitive exercise is powerful enough to delay the onset of Alzheimer’s disease, and for some time, researchers have supported the notation that the quality of life afforded by enhanced education leads to improved health outcomes. Among all species, human beings are especially gifted in creation, learning and intellectual development. Learning and curiosity are an innate characteristic of humanity. Duly, curious pursuits and problem solving inexplicably lead to pleasant feelings of fulfillment and satisfaction. Learning provides more than a sense of accomplishment; higher learning leads to a higher income. Students who’ve earned bachelor’s degrees can expect to earn between $445,000 to $655,000 during their careers, and workers with higher degrees earn even more. Furthermore, continued learning is becoming a part of the job for many working professionals. Within most professions, furthering your education opens up a number of possibilities for career advancement. Sometimes this may be within your own company, while for others this could mean joining a different company that offers a higher salary and better benefits. Today’s educators empower learners to challenge mental limits, reach full academic potential and successfully reach academic milestones beyond their expectations. Graduates benefit from a heightened sense of direction, improved self-assurance and enhanced decision-making skills. They also enjoy the freedom to make complex decisions based on logic, rather than simply following others. Earning a degree is a challenging endeavor during which students must use reason and critical thinking to discover truths about modern society. Despite the challenge, education is a gateway to a better quality of life that’s essential for personal development and growth. However, it’s up to potential students to take the first step toward earning an advanced degree.